Many of us have met some of the “boat people” who came to Canada in the early ’70’s, escaping from the Communists in South Vietnam. But I’ve never read or heard as vivid a description of their life at home and the terrible hazards in escaping. Kim Thuy was a young girl living in a palatial house in Saigon, where her father was a prefect, when the Communists came in l975. The family was forced to flee to a camp in Malaysia, where they slept on the ground. They eventually got to Canada and arrived at Mirabel, overwhelmed by their first sight of a snow-covered world. Thuy describes the kindness they found in Granby, Quebec. Neighbours showered them with gifts, and food. They couldn’t cope with all the Minute Rice, being used to sticky rice in Vietnam. Thuy doesn’t ignore the filthy jobs that came their way. But her own training took her from being a seamstess, to interpreting, practising law, running a restaurant. The book tells of her return trips to Vietnam. The anecdotes on both sides of the world are beautifully described, the brutality as well as the beauty. She has a crisp, sparkling prose and is today living in Montreal, writing for a living. 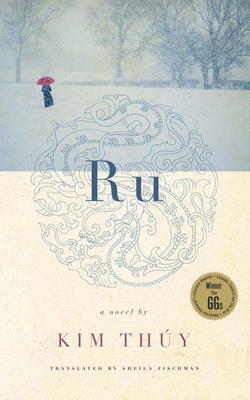 Ruhas become a bestseller in Quebec, with foreign rights sold to l5 countries around the world. It is really a lullaby for Vietnam and a love letter to a new homeland. 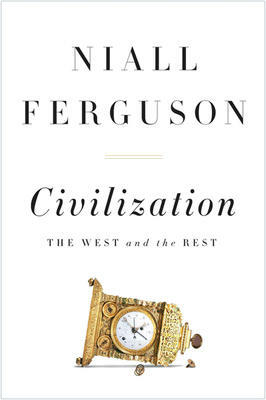 Born in Scotland and educated in the U.K., Niall Ferguson is one of Britain’s most renowned historians. Currently attached to Harvard and Stanford universities in the U.S., he has written a number of best-selling books on history and finance, as well as magazine articles all over the world. Witty and concise, he tells a gripping story. Civilization shows how the West began its rise to power some 500 years ago. Before then, Ming China and Ottoman Turkey had been the main world civilizations. Ferguson looks at the reasons for the West’s grandeur. They include: representative government and the rule of law, with the representation of property-owners in elected legislature; competition; the Scientific Revolution (all the major breakthroughs in mathematics, astronomy, physics, chemistry and biology happened in Western Europe at this time); modern medicine, including the control of tropical diseases, as well as healthcare; the consumer society brought on by the Industrial Revolution and the demand for better and cheaper goods; the work ethic, back by Protestantism and a stress on savings and capital accumulation. Ferguson describes how the 1938 barbaric and atavistic forces, above all in Germany, rose from the very civilization with the values that Churchill held dear. He warns that the biggest threat to Western civilization is posed not by other civilizations but by our own pusillanimity, and by the historical ignorance that feeds it. His book goes a long way to clearing up this ignorance.